Yes, Barbara won the June challenge – and Julia has been in the winning circle before as well, but we want to assure you once again that the judging panel has no idea who created these entries. It’s a ‘blind’ jury panel (anonymous entries which the judges see); and only when the winners and participants are revealed to you, do the judges know the names of the artists belonging to the entries. Barbara and Julia taking winning placements more than once in these challenges, is purely due to their attention to detail, skill and creativity. Well done ladies, we should all inspire to reach your level! 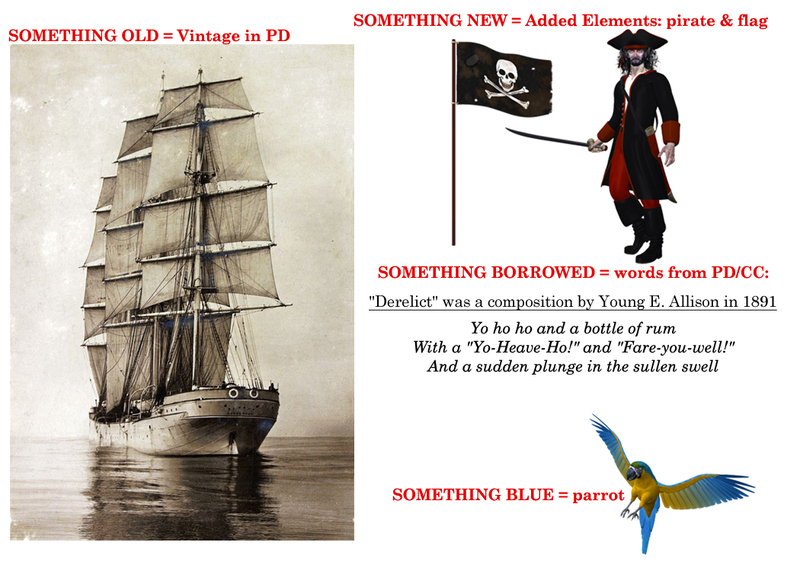 Theme: Something Old, Something New, Something Borrowed, Something Blue. Something Old = Vintage: Choose a vintage piece of art or element (must be in Public Domain) – keep in mind, when using vintage elements, you should be ‘restoring’ areas which are unpleasing, this includes repairing scratches, improving tonal and saturation values, correcting color cast, etc. Something New = New to the Vintage Piece. Add at least one element to the vintage art to create something new and different. The element should add to the ‘theme/message’ you wish to convey. Bows, ribbons, text frames, etc. are not alone considered added value for this challenge. Something Borrowed = Words in Public Domain. Choose words from a song, poem, verse, or quote in Public Domain. You can use as little as one line and add your own to it like I did, but it should be a ‘recognizable borrow’. Entry Deadline: July 29th, 2015 (ending on a Wednesday this month) ………………………………………………………………. GCU wants our vintage creations to stand out from all the other sites where people simply slap the vintage image on a card without adding value as a designer. If you are a painter or illustrator, you can use the vintage as your reference in a new piece and add the other elements to meet the challenge. If you’re like me, a digital designer, then this challenge will test (and hopefully improve) your digital art techniques. Have fun! Hope you have fun, Julia! This was really a fun challenge! Thanks! You have indeed met the requirements list, nice job! Really glad you had fun with this one. Your entry has been officially received. Good luck! Julia, your card is wonderful! It came to our attention this challenge, that we’ve never informed our artist community that the entries for these challenges are submitted anonymously to the judging panel. The judges have no idea who created the entries when they are judging. Should any artist win a challenge more than once, it’s purely based on their ability to meet the requirements and capture the judges attention with their creative mind and skills. So if you love the challenges every month, then go for it – every month – and if you win more than once, well we should all applaud your creativity! I’ve become addicted to these challenges 🙂 The team who invents these monthly themes should get 1st prize in inventing creative stuff ! The ideas you guys come up with are all awesome! Julia, I just love your card ! Requirements for the challenge were beautifully met and your entry has been received. Good luck! 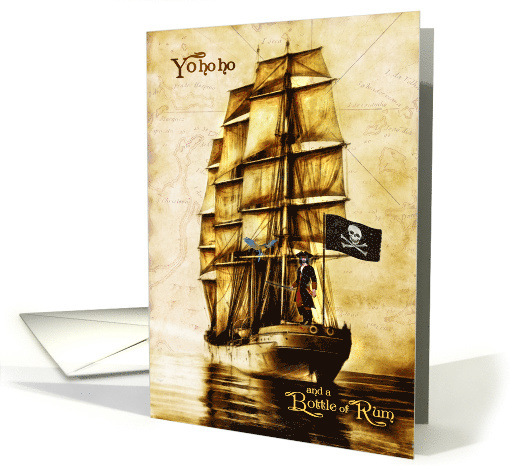 Barbara, You have created such a lovely card! I would like to offer this design into the challenge, please. Thank You. Hello, Betsy – Would you please list the elements as both Julia and Barbara have done. Makes it easier for the team that validates entry to verify all requirements for this complicated challenge were met. Thank you! LOL, Doreen! I felt like I was missing something when I added the link to the card! Something Old- I took part of an 1864 painting by Simeon Solomon. Something New- I added the cherub. Something Borrowed- The love quote by Aristotle. Something Blue- I added the blue feather. Perfect, Betsy, thank you! 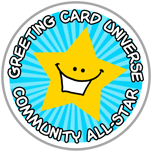 Your card has been officially entered, good luck! Julia, Betsy, and Barbara, such gorgeous, well-composed cards! Entry received, thank you, Cristi. Good luck! Learned something today – what works in the forum does NOT work here…. Christi, Thank you. Your design is so pretty and delicate! 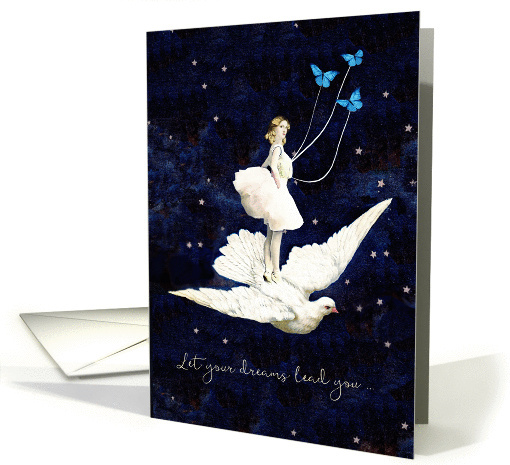 Beautiful card, Christi, serene and peaceful – and you’re really good with words! It;s only 7:05 pacific time. Received and entered, Sherry. Good luck! Sherry, I am so glad you made it into the challenge. Your design is beautiful! Thank you, Dragonfire Graphics, that’s so sweet. I really like yours too. Sherry, a wonderful card with a wonderful, warm message! Congratulations, Barbara and Julia! The winners are posted at the top of this post – well done everyone! Tune in August 3rd as we kick off the next challenge. Lovely cards from everyone on this challenge and congratulations to Barbara and Julia for their winning designs. Congratulations, Julia, your card is absolutely adorable, the design and message/text go so well together! I’m sure that it will warm the hearts of the card recipients coming Thanksgiving. Fabulous win ladies! So well deserved! Congratulations, Barbara and Julia! Congratulations Julia & Barbara! Great designs by both of you, as well as everyone else who entered the challenge!